We’ve worked hard this year on new solutions for Stromberg 6×2 set-ups, and here’s another smart idea that makes things even easier. Stay with us. It’s complicated! Banjo fittings have always seemed a clean solution for 6×2 sets because you can run just two simple hose lines to the back of the engine and fit a fuel block on the firewall. Yet you never see it with progressive linkages. Why? Because progressive linkages with banjos also need banjo spacers to move the feel line away from the long center lever arm. But if you do that, you get into another issue, as the progressive linkage sliding rods on each bank must pull the front carbs open, because of clearance issues with the back-bar. And the sliding rod hits that banjo spacer. Our new 9086K-C Banjo Spacer with Clearance solves that issue. 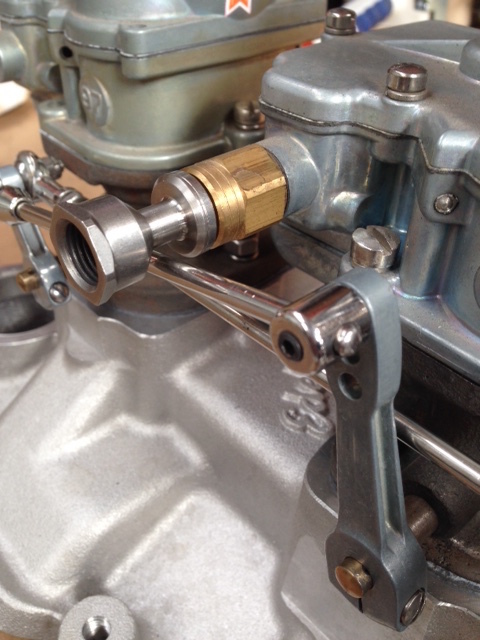 Fit one to each center carb on your 6×2 and you will provide clearance for the forward-facing sliding rod. Job done! Of course, this also works for 3×2 linkages if you need to configure it in the same way. Check the new pieces out on our website and speak to your Genuine Stromberg dealer today! Well, we promised a summer of new product launches and it continues with traditional phenolic spacers for your Stromberg 97 carburetors, plus a complementary extended intake manifold stud kit. Tried buying a ‘real’ phenolic spacer lately? Truth is, the real old-school phenolics are becoming harder to find and those orange colored plastic spacers we’re seeing for sale just don’t seem right on a traditional hot rod, if you ask us. 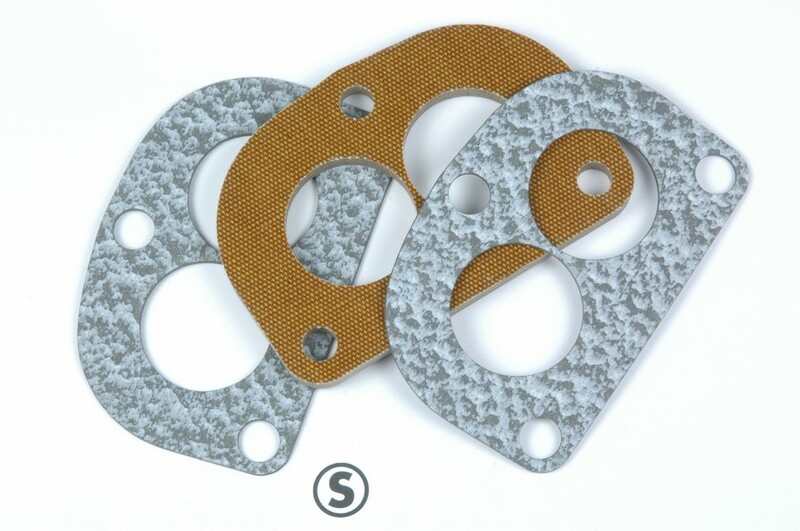 Manufactured in California, USA exclusively for us here at Stromberg Carburetor, the new 1/4in spacers are cut from Natural Canvas Grade C Phenolic sheet with the classic brown color. The full kit (part number 39447K) includes two gaskets – used above and below the spacer – and work with 97s and other 3-bolt, 2-barrel carburetors like the Holley and Edelbrock 94s, of course..
Made from layers of canvas impregnated with synthetic resin binder, the benefits of phenolic sheet for carburetor spacers are well documented. Reducing heat transfer from the intake manifold to the carburetor, they can promote a cooler, denser fuel mixture for more horsepower. If you live in a hot climate and suffer from fuel percolation, you’ll be well acquainted with the heat insulation benefits too. If you’ve got a two-barrel carb with an aluminum base casting, these should really help. 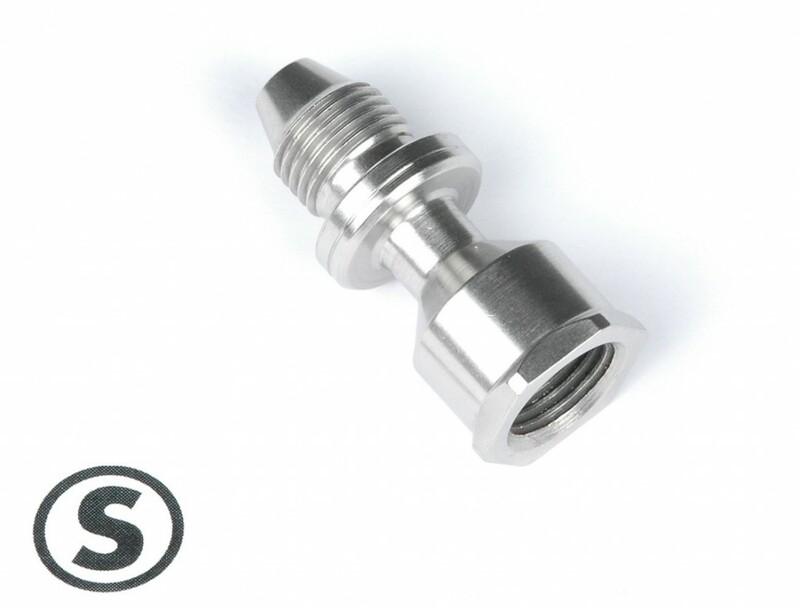 Carb spacers need extra long intake studs of course, so we’ve also launched an extended manifold stud kit (Part number 89067-E) – three 1/4in longer studs with stainless steel nuts and lock washers. Stromberg phenolic carburetor spacers and extended intake manifold stud kits are available now from our worldwide Genuine Stromberg dealer network, and help with installation is available from Stromberg by email or via the Stromberg Tech Center at www.stromberg-97.com. The new insulators use a patented (and superior) material. They’re black in color for an OEM appearance and they’re only 1/4” thick for applications with limited hood clearance. Each has been designed to be used individually or in stacked configurations for even greater insulation. The material is able to withstand normal wrench tightening of the carburetor hold-down nuts and studs without concern of crushing. 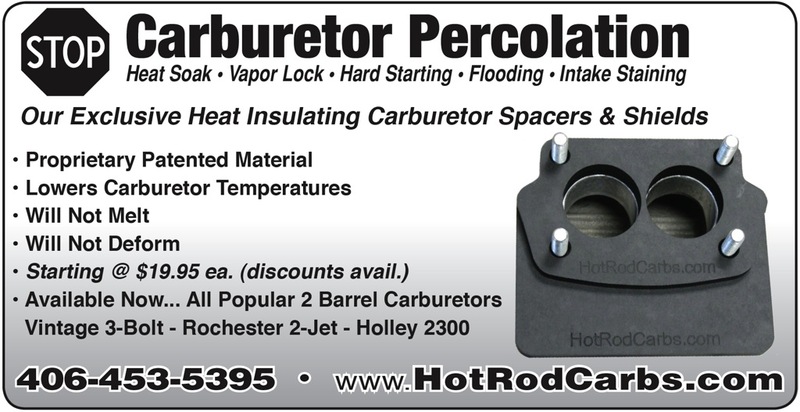 And lastly, each shield and spacer is engraved with the HotRodCarbs.com logo to give consumers complete confidence.